Leading Manufacturer of hdpe laminated sack paper bag and paper laminated hdpe sacks from Ahmedabad. By offering our clients a terrific array of HDPE Laminated Sack Paper Bag, we have scaled to the exuberant heights of success. The sacks offered by us are manufactured by utilizing the best grade high density polyethylene with the aid of ultra modern technique under the proper guidance of deft professionals in adherence with set market quality standards. these sacks used for safe keeping of various materials. 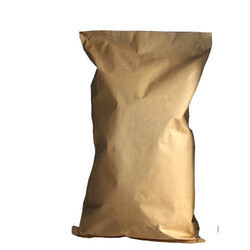 In addition to this, we offer these HDPE Laminated Sack Kraft Paper Bag at pocket friendly prices. Our company has been dedicatedly manufacturing and supplying Paper Laminated HDPE Sacks in the market at present. These sacks are widely used in relation to the food items to keep them warm and safe from moisture and dust. These sacks are designed with utmost precision by our skilled professionals using quality tested features. These are made available from our side as per the set industry guidelines and at extremely affordable rates as well.